Countertop water filter is one of the most commonly installed water filtration systems designed to produce clean drinking water. This is beneficial in the sense that it works in removing harmful contaminants in water, based on the specific filtration method that it uses. If you are looking for an effective water filter for the countertop, then note that the best one is that which uses multiple filtration methods. Go for one, which employs selective filtration. This makes it effective in removing water contaminants without having to filter out the naturally present minerals that can benefit the body. By installing a counter top water filter, you can easily access pure water, which can improve and maintain your health while also building a better immune system. If you have kids at home, then this also helps them in accessing clean and safe water useful for their growth and development. Pure water also allows your entire family to grow. It helps strengthen your immune system. With the water filter around, it would be easier to get rid of impurities that can develop illnesses and other forms of cancer. Counter top water filters can protect not only you, but also your loved ones and pets from at least two thousand toxins present in tap water. The good thing about these filters is that they can remove all those toxins while also retaining healthy minerals designed to maintain the pH balance of drinking water. 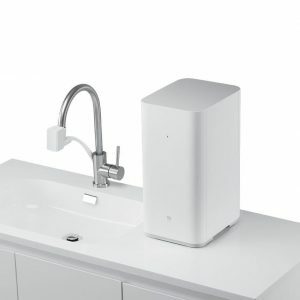 Most countertop water filters are also light and compact, meaning you can easily install them to a tap then disconnect them. These are portable enough that you can bring them anywhere. They also take up less space. You can also access several adaptors and connectors, further making you feel more comfortable and convenient. Another benefit of counter top water filtration system is that they are available in simple designs, so they don?t need frequent maintenance and filter changes. You don’t have to think about using extra tank or hardware. You just need to change the filter as recommended, and this is usually not that often. As you can see, a above counter water filter has several uses and benefits. It constantly offers safe, healthy and clean water, which is the reason why you should consider contacting a good water filter installer now. Counter-top systems are ideal for homes, office pantry and almost everywhere there is a tap connection or simply when there is no space under the sink. The unit sits on the counter and easily connects to the kitchen tap. A countertop tap water filter is one of the most popular and most effective water filter systems for clean drinking water.